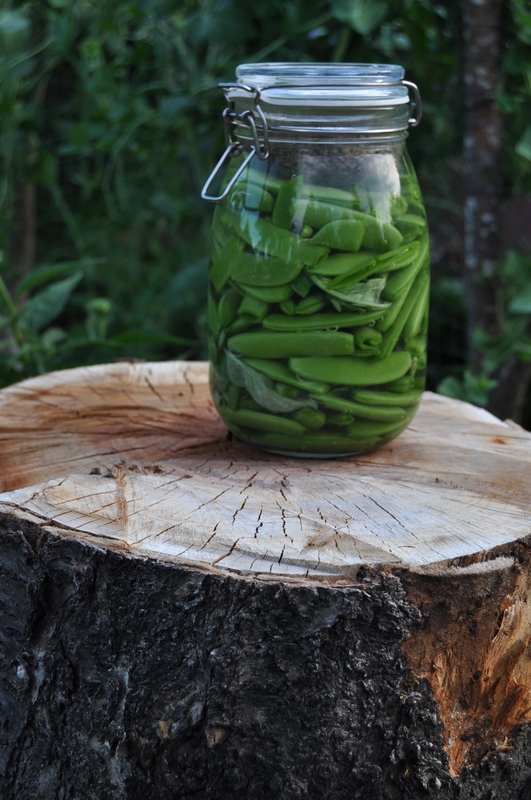 Pack you peas into a sterilized jar. Try and pack them as tightly as possible. 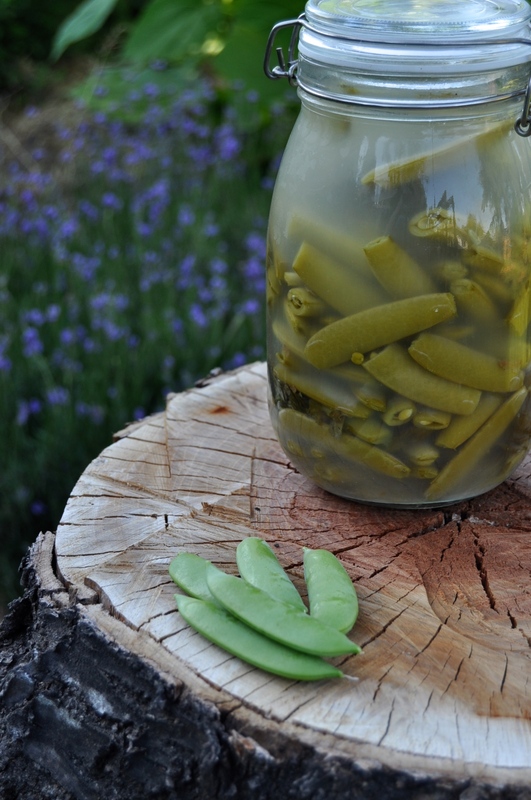 I like to use fido style jars (as in the pictures), but in a pinch you can use mason jars. Add your seasonings. Pour your brine over the peas, leaving about an inch of headspace in the jar. Seal your jar. Let the jar sit happily on your counter for 7 days. You will notice the peas change from bright green to a much less vibrant army green. The brine may get cloudy as well. Taste your peas after 7 days. If you’re happy with the flavour move them to the fridge. If you like them a bit more tangy, allow to sit on the counter for a few more days- tasting as you go. This entry was posted in Uncategorized and tagged dairy free, lacto-fermented, no whey, pickled, probiotic, vegan. Bookmark the permalink. Looks delicious, great idea- Thank you!